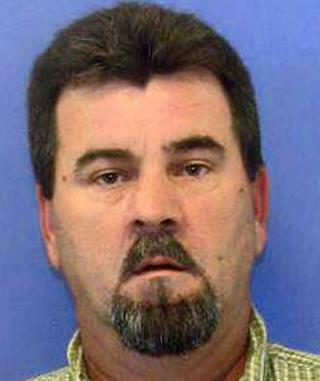 (Newser) – Kevin Ewing was declared brain-dead Wednesday, bringing an end to what Pennsylvania cops and prosecutors call a harrowing, decades-long cycle of domestic abuse. Police say Ewing shot himself Tuesday night after fatally shooting his wife, whom he had kidnapped for a second time while on bail for kidnapping and abusing her for 12 days, the AP reports. Washington County Assistant DA Kristen Clingerman says she tried to keep Ewing in jail, and secured a protection-from-abuse order when a judge declined to raise his bail—even though his wife changed her mind about getting one. Clingerman says she was heartbroken to see the body of 48-year-old Tierne Ewing in the barn where her husband had taken her. i didn't see any comments about this perp's skin color. did i miss them somehow? what's with you newsers, slowing down on the job? The question isn't "how do you teach these girls, these women not to go back?". The questions are 1. How do you teach young women to recognize men like that before they become involved with them...what signs to look for? How early to start teaching women how these men can emotionally capture a woman? 2. How do you psychologically de-program a woman who has been battered? A psychological bond is formed between a battered woman and her batterer, over time, that is difficult for either of them to break. It's like Stockholm Syndrome for the woman. The only way to break that bond is to not allow the woman to return to the man for a long enough period of time that the emotional bond between them is broken on her side, at the very least. And secondarily, to permanently keep him away from her until his feeling of being able to control her is broken. Getting rid of bad rubbish is always good news.